So I just have to say that this is my FAVORITE pack everrrrrrrr! And it just so happens to be my best seller as well. As I was getting this unit ready this year I decided that I wanted to do a little update. Since I've had so many fabulous people enjoying this along with me, I thought I would give them some fun little updates to spice it up this year. Here is what is included in this pack (both what was there before and what is there now). First, I updated the fonts and clipart because I have found some serious talent in the world and wanted a fresh look. 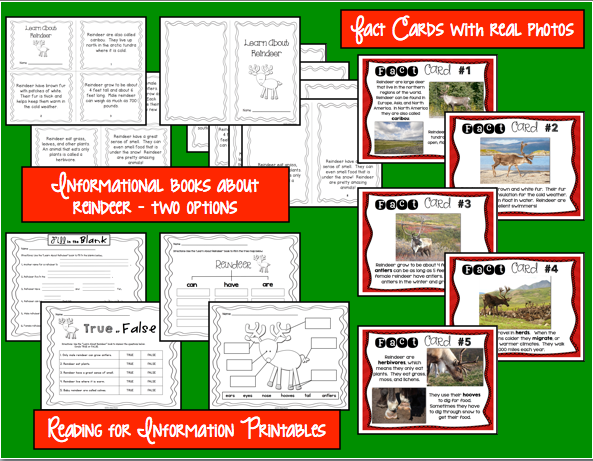 I also added some real photographs with these Fact Cards. I can't wait to use these with my kids - they are going to LOVE them!!! 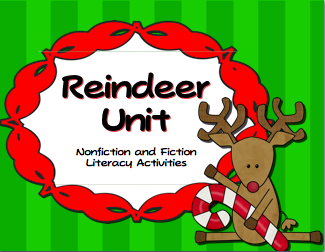 I don't know about you, but my students go crazy for NON-FICTION and really enjoy learning all about reindeer in this unit. 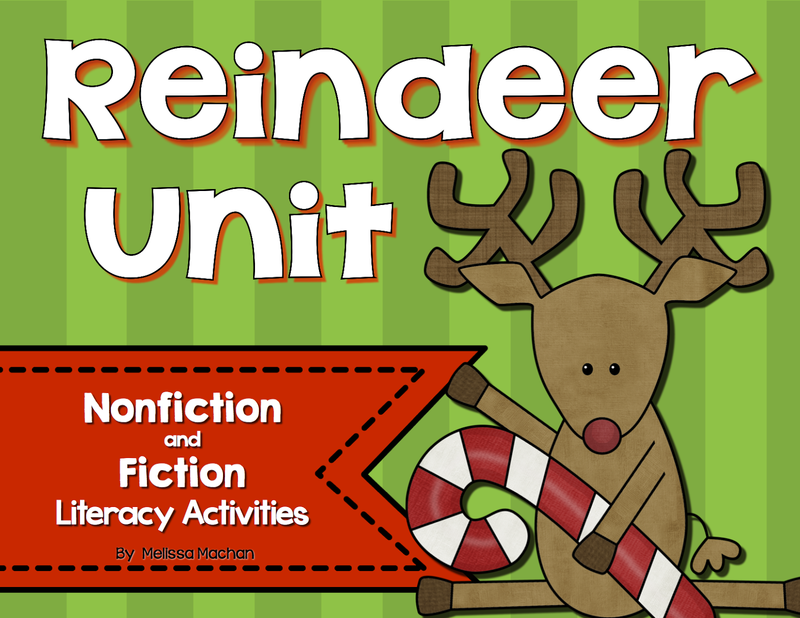 It's also the perfect unit to use in December that brings in some common core AND a fun topic without going Christmas crazy. (I'm not saying I don't ALSO go Christmas crazy, but I know not all teachers are able to in their schools). 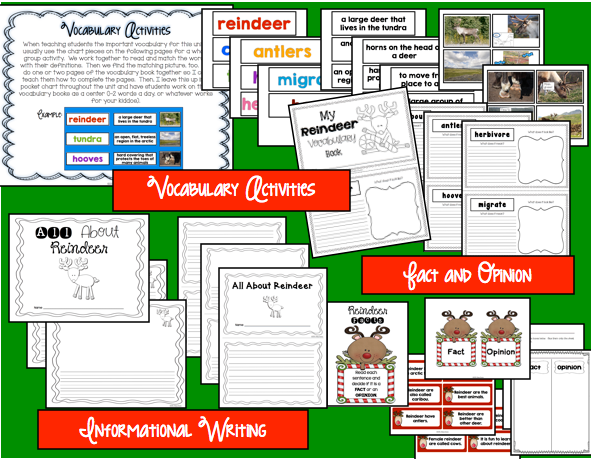 Next up, I added these Vocabulary Activities. I first did this in my Animals in Winter unit last year and my kids did so well with this little vocabulary book that I really wanted to include it in this unit as well. Finally, we have the FICTION activities to bring out the other side of things. These two books make for the perfect literature connection to this unit! 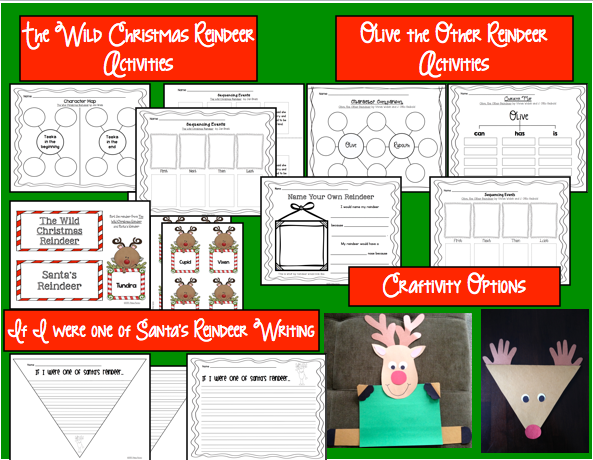 And don't forget the Craftivities, which can be used with either the informational or creative writing. If you want to check this unit out, just click the picture below. It will be on sale until Tuesday and then the price will go up. If you have already purchased this unit then you will want to re-download so you get the updates.